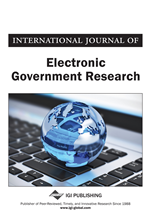 In its early catalogue and transaction phases, E-Government (e-Gov) has been quite successful, although some critics say that it mainly reaped the harvest of relatively low hanging fruits by making paper-based information accessible over the Web, and also by Web-enabling some existing transaction processes. The subsequent horizontal and vertical integration phases of e-Gov, those critics hold, present a greater challenge and require more technological sophistication and organizational effort. Business processes may need streamlining, change, and even replacement in order to become more citizen-centric and also increase government internal effectiveness and efficiency (IEE). This exploratory study finds that strategies and objectives for reaching the integration phase vary with focal areas and motives. However, e-Gov, it is found, is a main driver of business process change in the public sector. Many practices and lessons learned from private sector reengineering apply in the government context.